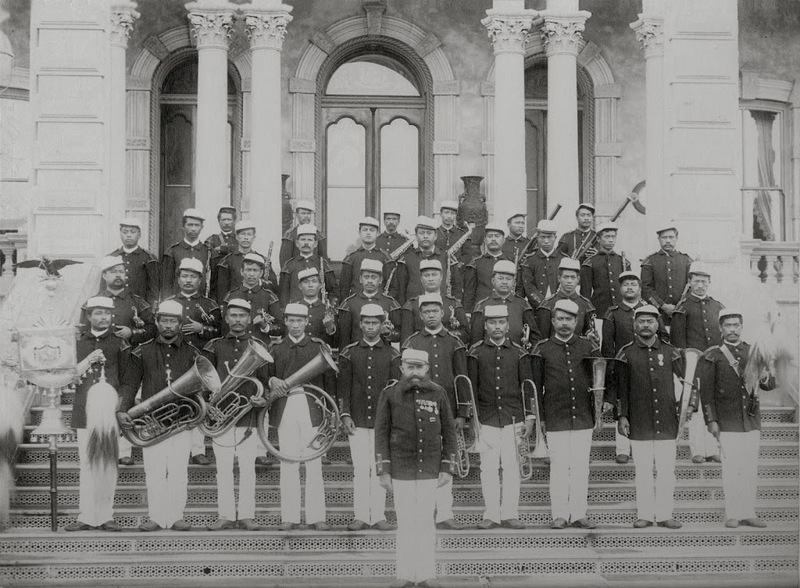 Ke Ala O Ka Hua Mele explores different eras of Hawaiian music. 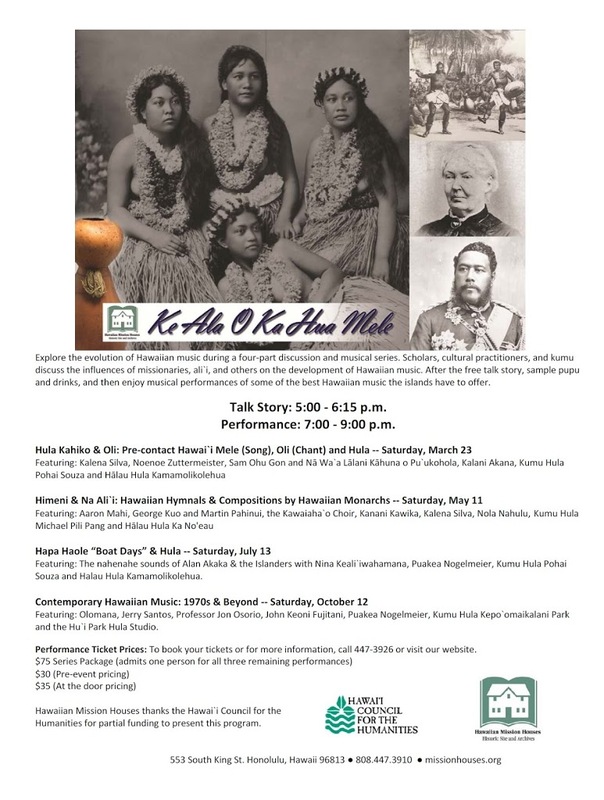 Integrating education with Hawaiian culture, Hawaiian Mission Houses is giving the public an opportunity to sit down and talk story with a panel of scholars, cultural practitioners, and kumu as they discuss the influences of missionaries, Aliʻi and others on the development of Hawaiian music. 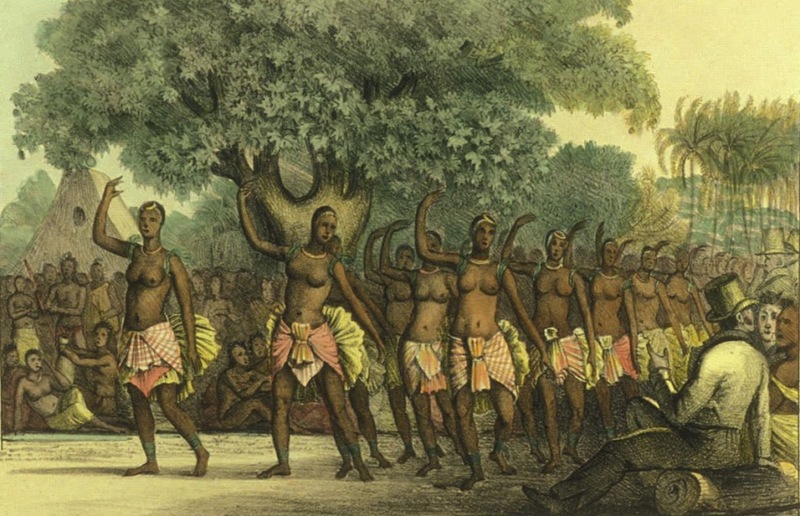 Aaron Mahi will moderate the free talk story panel from 5 – 6:15 pm that will include Kanani Kawika and Nola Nahulu. After the free talk story, you can purchase pupu and drinks on the grounds, or bring a picnic lunch. Purchase admission to the 7 – 9 pm performance and enjoy George Kuo, Martin Pahinui, Kawaiahaʻo Choir, Kumu Hula Michael Pili Pang and Hālau Hula Ka Noʻeau presenting the best in dance and music the islands have to offer. To reserve your tickets, call 447-3926 or book online. Click here to be directed to the on-line reservation system. The image is a flyer for the whole series (I am signed up for all.) The first one was great and we are looking forward to this next one.